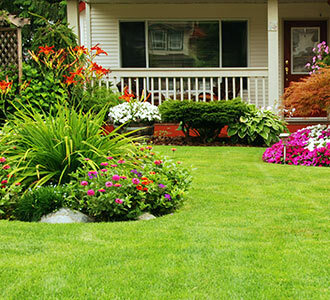 When it comes to keeping your garden and lawn healthy and lush, trust the professionals at Greenbloom. 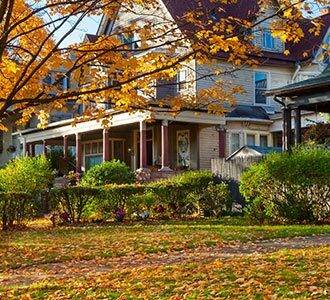 Our experience gives us the ability to understand when and how to prune the trees and shrubs on your property. The practice of removing specific parts of a plant, such as roots or branches that are diseased, damaged or dead. Improves the health and shape of your plants. Controls their growth, removes deadwood, prevents branches from breaking, increases the yield or quality of fruits and flowers, and keeps your landscape beautiful. Prune fall and summer flowering plants in late winter when the plants become dormant. Spring flowering plants such as lilac and forsythia should be pruned soon after their flowers fade in late spring or early summer. A gardening chore to help you remove the dead, spent or faded flowers from living plants. Deadheading is a form of pruning. 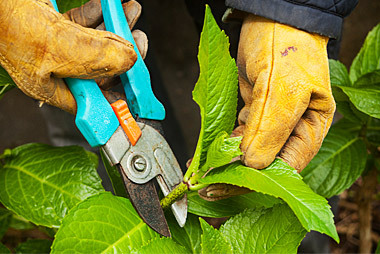 While pruning includes cutting or trimming the entire plant, deadheading refers to the removal of dead flowers. Also called pruners, these are a type of scissors used to cut twigs and branches up to ¾ of an inch in thickness. Used for cuts to healthy plants. Tool should be kept sharp. Features a blade that moves past the lower jaw, hence the bypass name. Used where the cleanliness of the cut is not as important as the cut itself. Often crushes the material being cut. Typically used to cut dead material or for preparatory cuts. Features a blade that closes against a flat edge called an anvil on the lower jaw. Used to cut branches that have a diameter of around 1 ½ to 5 inches. Usually used for pruning vines, fruit trees, and nut trees, and for cutting branches up to 2 ½ inches thick. Holster – Available for pruners, smaller saws, shears, and loppers. They are designed to mount to your belt. Ergonomic Design – Has a slightly curved shape, and usually include angled blades and soft-grip handles. Helps to reduce wrist strain and requires less pressure when pruning. Locking Mechanism – Enhances safety and protects the blades when not in use. Sharpener – Helps to keep your tools sharp and ready to use. 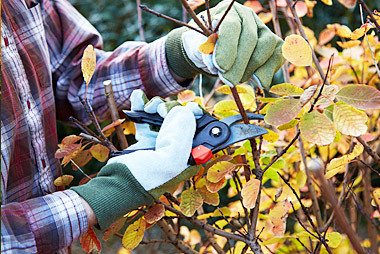 Size – Consider which hand you use for pruning, how well the tool fits in your hand, and how large of a branch it can cut. Clean your pruners after each cut and use, especially after pruning a diseased plant. Lubricate the blades of your tools. There are four basic methods for tree pruning. Each accomplishes a specific need. A particular type of pruning that involves removing diseased, dead, and broken stems or branches. Used to decrease the risk of decay. Aims to limit the spread or height of the plant. Used to improve appearances, clear overgrowth, and minimize the risk of plant failure. Used to reduce the density of plants with thick foliage to allow more sunlight and air penetration. Used to provide clearance for vehicles, commercial buildings, residential houses, and pedestrians by removing the lower branches of a tree or plant. When pruning to a bud, make a sharp, clean cut. Stay far enough away from the bud to avoid causing die back. The cuts should be slanted (angled). Always prune back to buds aimed in the direction you would like the limbs/branches to grow. Every branch has buds pointed in different directions. The goal is to encourage the new growth to spread away for the center of the tree. Make your cut above a bud that is aimed outward. This will help the tree to grow into a spreading shape. Also known as florist hydrangea or bigleaf. Prune during the summer season as soon as the flowers fade. Remove any spent flowers and dead or damaged branches. Pruning can be done in the spring if necessary, just as the leaves are breaking dormancy. The amount of pruning should be minimal as not to remove any flower buds. Periodic removal of the oldest canes at the soil line will help with the plant’s vigour. Never prune these to the ground in the fall. Doing so will remove all of the next year’s flowers. Prune in late fall, early winter or early spring. Remove just enough to shape it. The main top branches or developing trunk should not be removed. They can be cut down to approximately 6 inches from the ground or, if the plants are to remain taller, cut back to one to three feet. Most standard hydrangeas are Paniculata. Can have either flattened flowerheads (lacecap) or large balls. Prune in late winter or early spring. In spring only prune out dead wood. Also known as oakleaf hydrangea. Prune when the plant is dormant during late winter or early spring. A vine which requires little to no pruning during the summer. Prune in early spring by removing dead and weak wood. Reduce the length of the stems by about half or down to 18 to 24 inches. Prune it hard in the spring, removing old stems and cutting various lengths from 18 to 24 inches. Leave a few healthy canes uniformly spaced around the plant. Leave unpruned for the first two years, then remove one-third of the oldest canes every year. Bloom only once, producing flowers on old wood. Prune after flowering to shape and remove only dead or weak parts. Prune them early to remove dead wood, weakening long canes, and winter damage. To shape and keep their size in check, prune again, after flowering. Prune only to shape them and cut back to an outward facing bud as soon as they bloom. Clematis are a popular climbing flower. When to prune them depends on which group they fall into. If you don’t know which group your clematis belongs to, watch them for a season to see when and how often they bloom. Bloom in winter and spring. Prune after they finish blooming in spring. The amount of pruning necessary depends on the species of clematis in this group. Bloom in late spring or early summer. Thin out and disentangle stems before growth begins in late winter or early spring and go over the plant again after early flowers fade, shortening the stems that had the flowers. Another approach is to heavily prune the plant back by half in alternate years. Bloom in late summer or fall. Before the season’s growth starts, cut stems to strong buds approximately one foot tall in the early spring. If you want the blossoms to be high, such as growing into a tree, cut them taller or leave them be with maintenance to remove old stems and dead branches, or a pruning every few years instead. Only a few perennials plants such as Artemisia, Cardinal Flower, and Heuchera should be pruned in the springtime. Although spring pruning will not cause any damage, most perennial plants such as Bearded Iris, Blackberry Lily, and Grandiflora should be pruned in the fall. This helps deter insects from over wintering. Most commonly, they are cut in early spring. They can be pruned in spring or cut back during fall. It is a good practice to tie your grasses before cutting. This keeps the cut blades together making clean up and disposal easier.